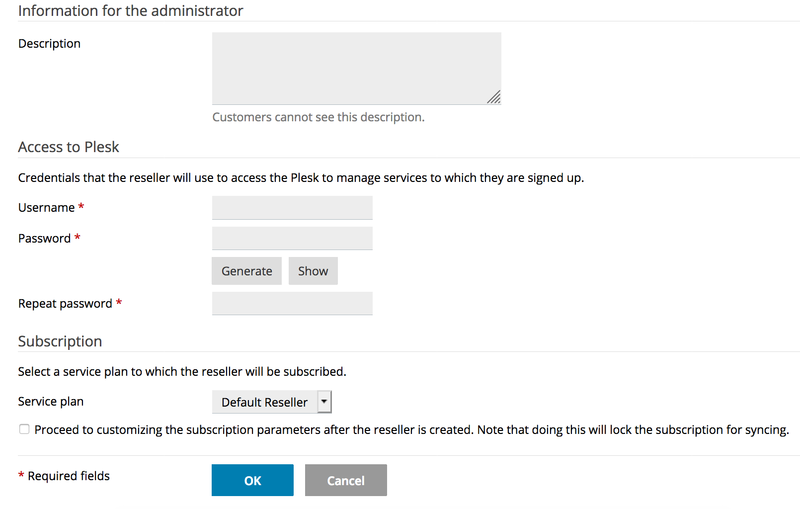 How do I add a reseller in Plesk? The Reseller allows you to resell your DV's physical resources, such as disk space and RAM, and then give your purchaser access to the Server Administration Panel. This provides a hands-off type of reselling. For an in-depth explanation of this type of user, please see Plesk users explained. The Reseller allows you to resell your DV server's physical resources, such as disk space and RAM, and then give your purchaser access to the Server Administration Panel. This provides a hands-off type of reselling. You must have the Server Administration Panel enabled. 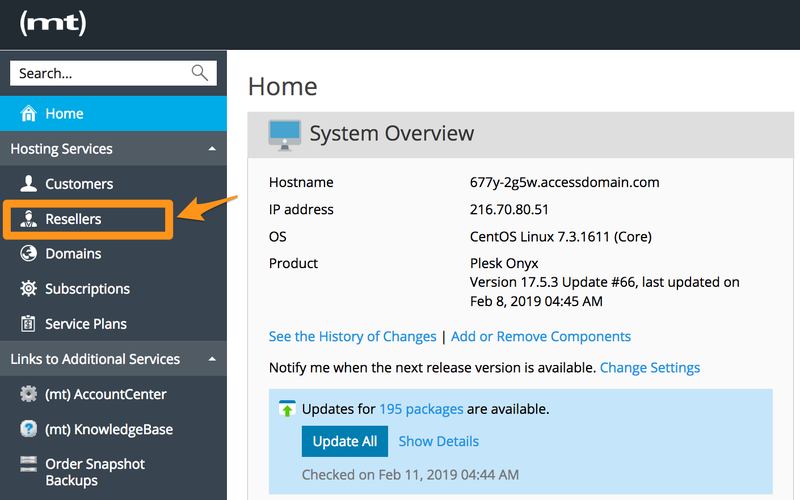 For instructions, please see: How can I change my Plesk interface? Click on Resellers on the left. Fill in the details for your Reseller, then click OK. Contact name: Your reseller's name. 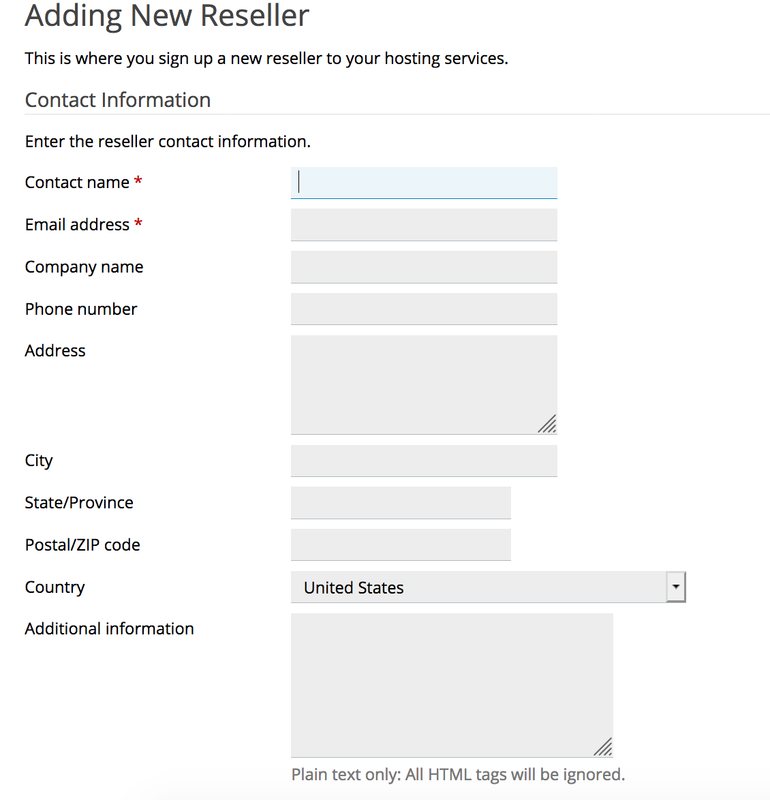 E-mail address: The reseller's email (will receive technical notifications from Plesk). Fill in the additional contact information if desired. Username: This will be the reseller's Plesk login username. Password: This will be the reseller's Plesk password. Please choose a strong password. 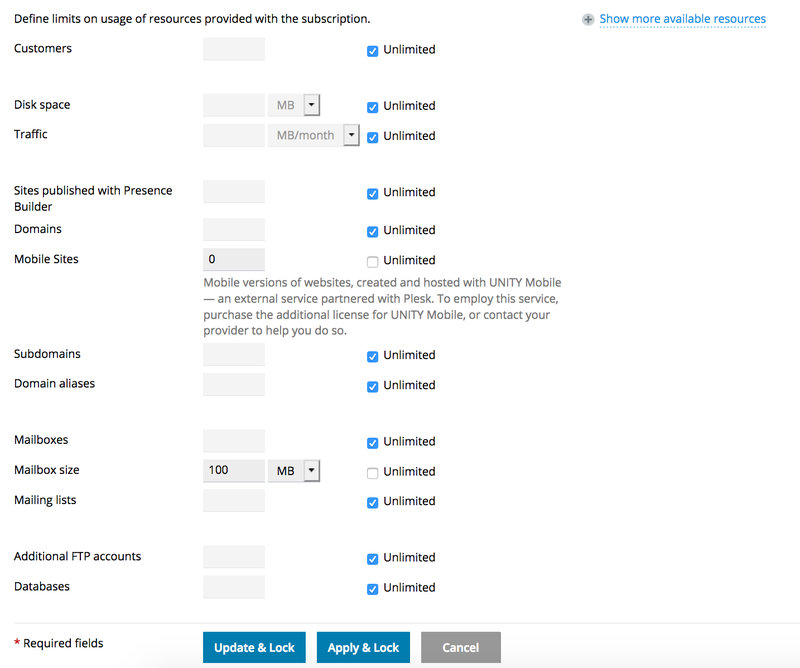 Subscription: Here, you can choose the default subscription resources or one of your own templates from the dropdown menu. Or, you can check the box to immediately proceed to configuring the settings manually. 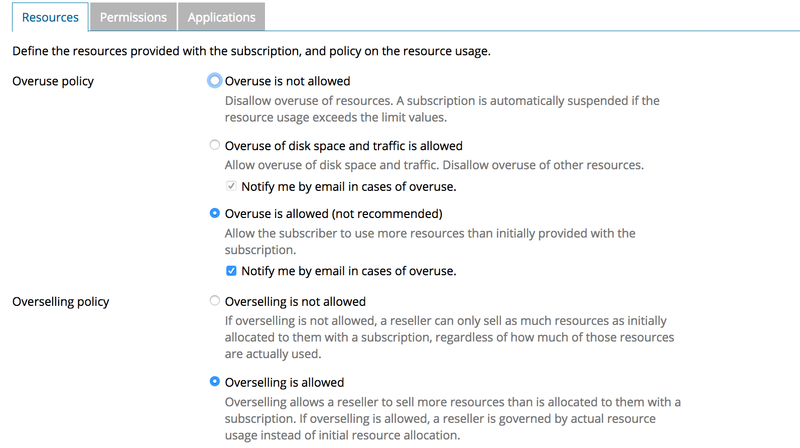 If you selected the option to customize your subscription parameters, you will now need to set some resource allocation parameters and admin tool permissions. Once you're done (or if you chose the default settings), you will be returned to the list of resellers. You should see your new Reseller listed. If you want to make adjustments to the Reseller at any time, just click on the name in the list. Once here, you can change resource allocation, permissions, IP address settings, contact information, et cetra. Just click on the tab at the top to perform your desired action.